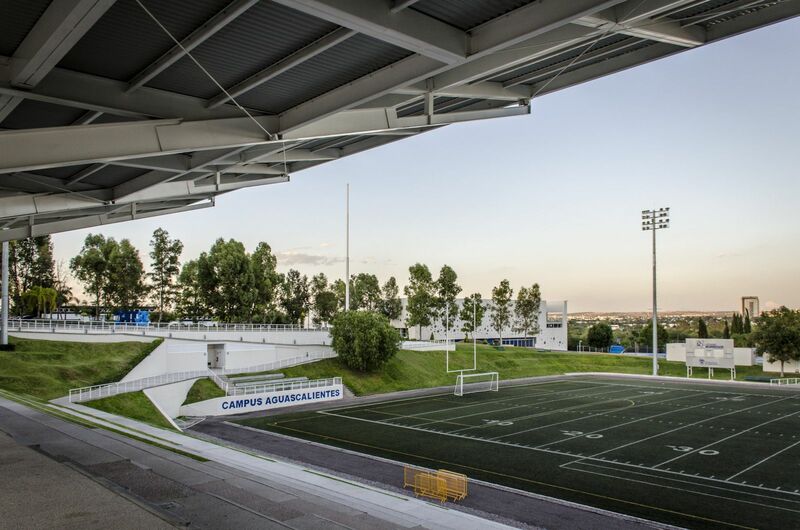 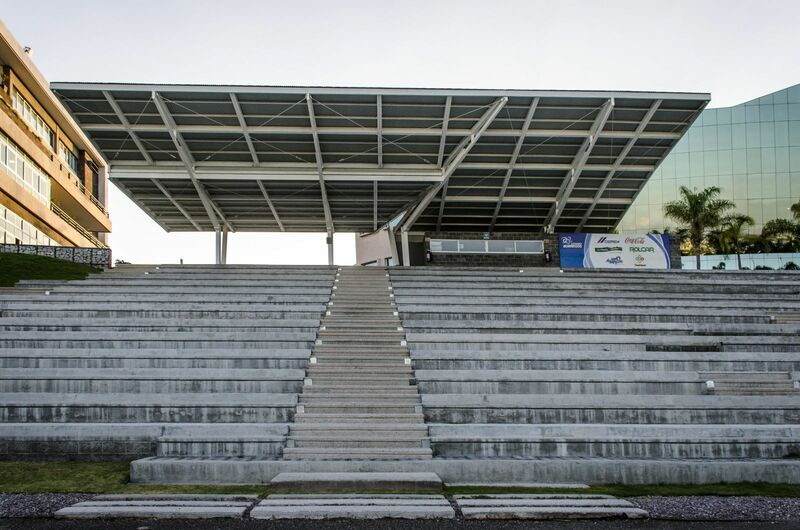 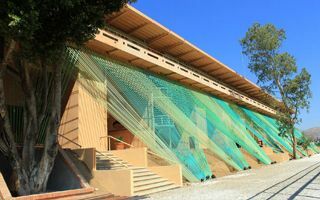 This unique stadium was built as an evolution of an old training field within the Aguascalientes campus of ITESM Monterrey. 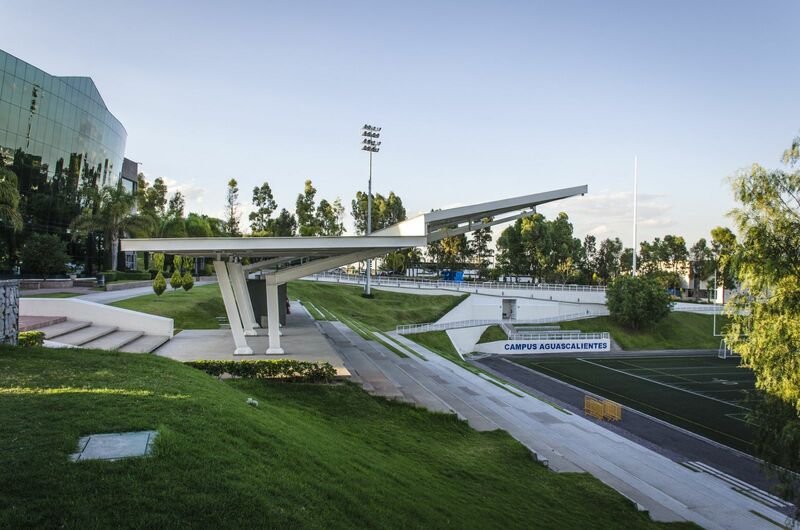 It lies on the north-western end of the city and was designed by Luis Morán and Mauricio Ruiz. 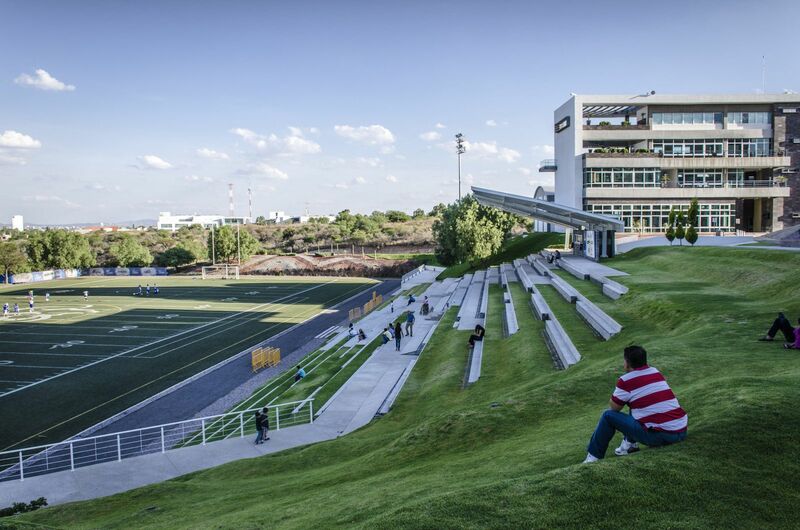 The concept is focused around natural land slope enveloping the stadium from the west and north. 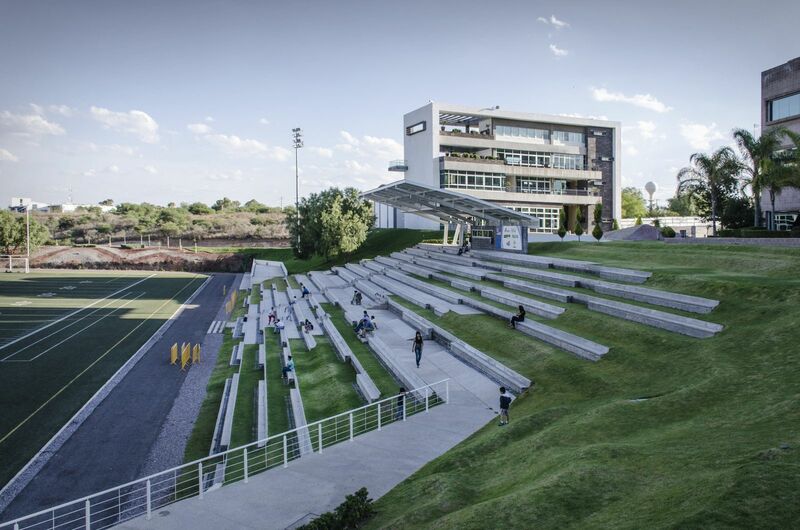 This is where the architects decided to combine the rough and geometric concrete with soft and cozy grass. 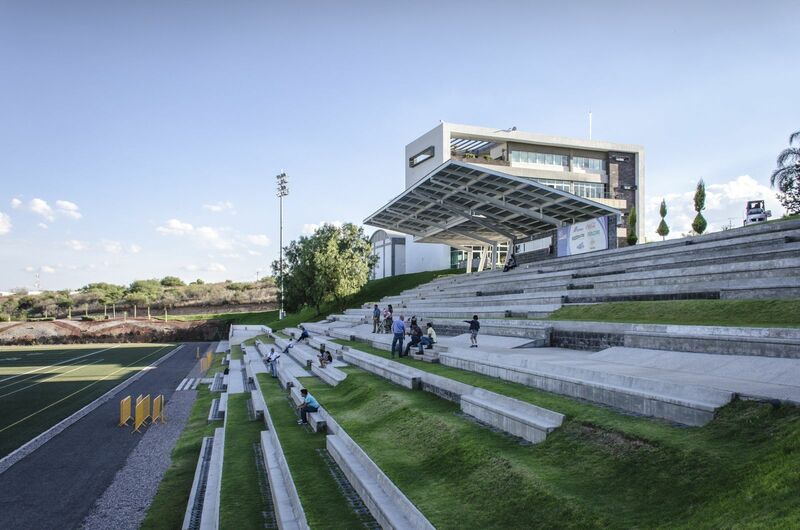 Steps of the terracing provide a transition from concrete to grass towards the north, allowing viewers to choose which area they sit on. 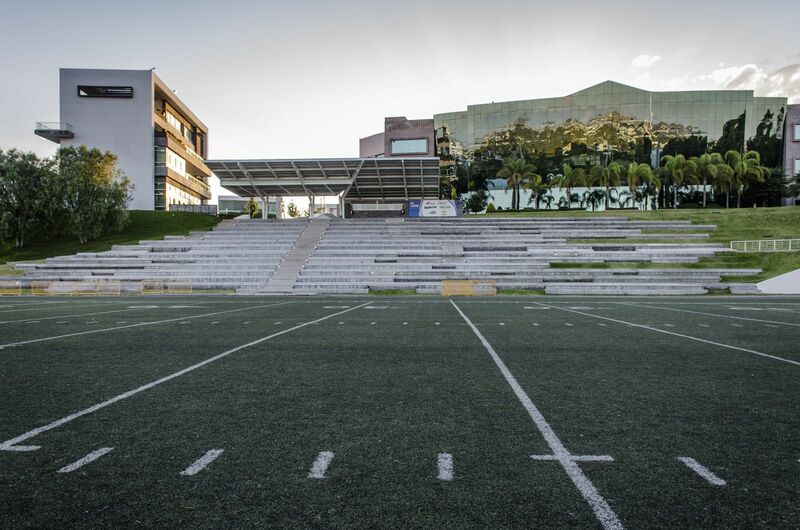 The ground isn’t any of the city’s most important ones, but we figured its aesthetic value is worth presenting. 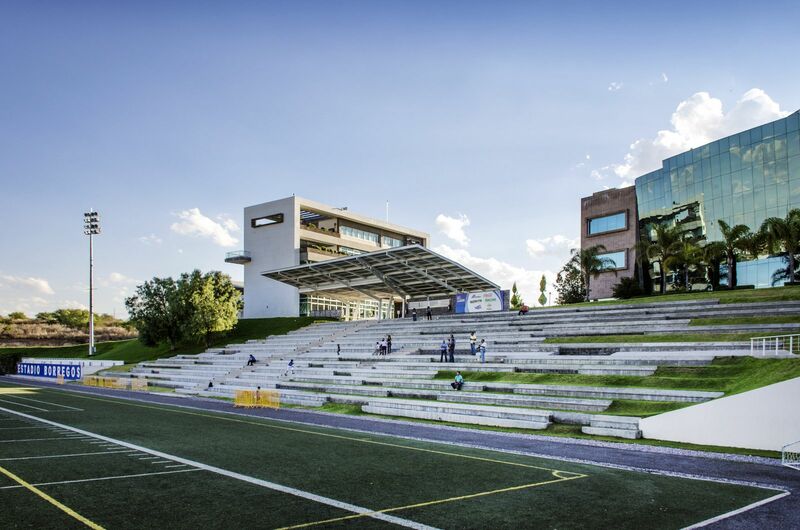 While the synthetic turf meets FIFA demands, it’s mostly American football that’s being played here.